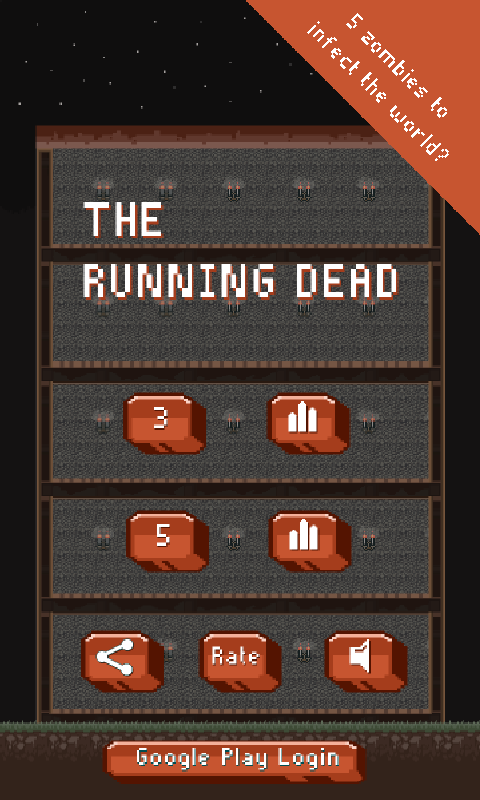 The running dead is an amazing runner game for android. The aim of this horde of running undead is to dodge incoming walls to earn points. You choose the difficulty by choosing between 3 or 5 runner zombies. 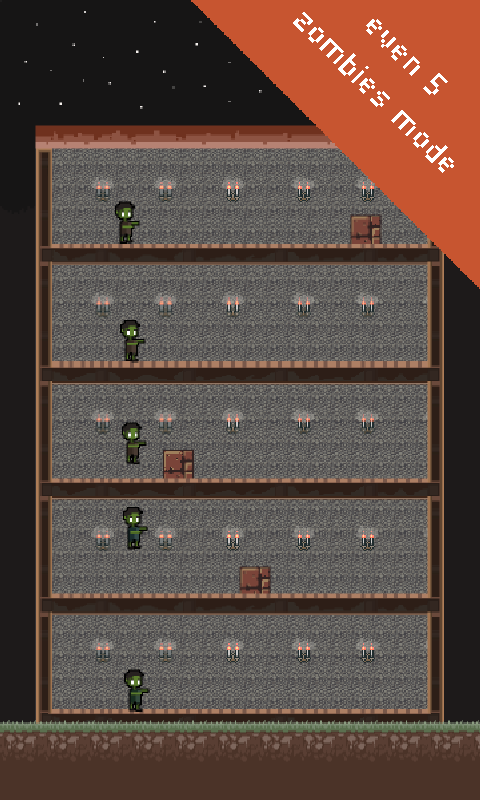 In this retro pixel style zombie game you will have to be fast to dodge al those walls and lead the horde to victory! You can control 3 or 5 zombies at an time. Instructions: Tap the floor the zombie you want to jump is on to jump over an incoming obstacle. You get only one live so be aware because one mistake is vital! It's time for you to become the number 1 runner zombie and beat the hordes of people on the leaderboard! 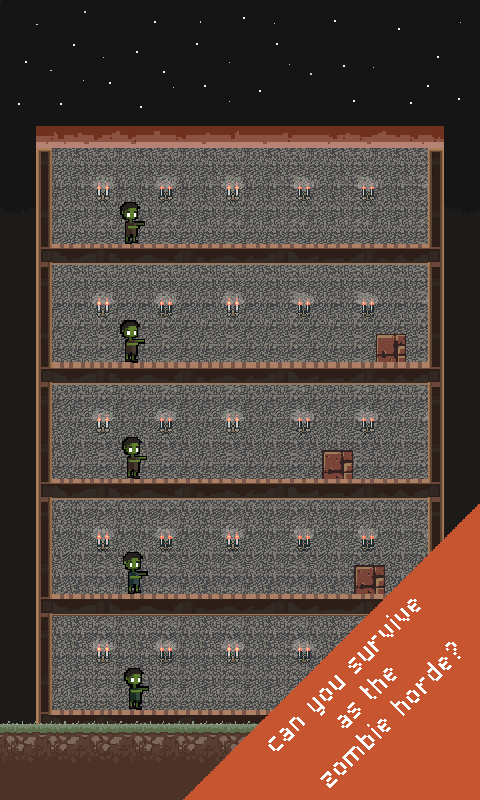 "Brains" - Zombie Dave Features: - Endless zombie runner style gameplay. - Classic pixel art style gameplay. - Avoid walls to take over the world! - Tap to make the zombies jump over the walls. - Has high score leaderboards. - Includes 3 zombie mode ! 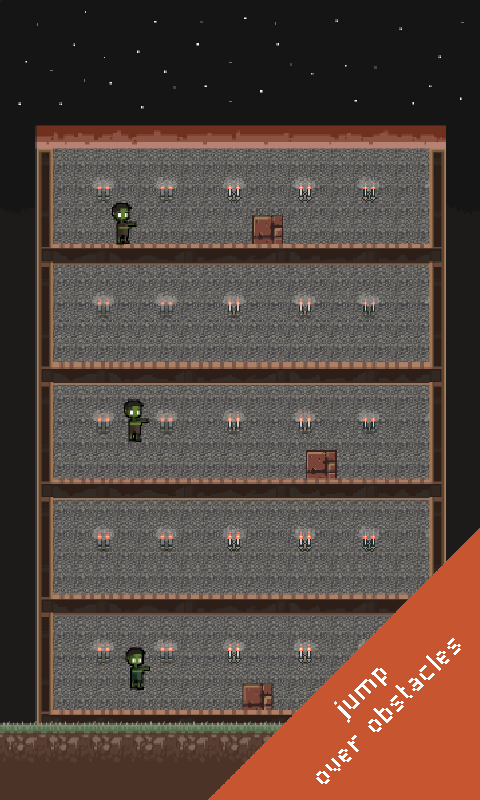 - Includes 5 zombie mode !